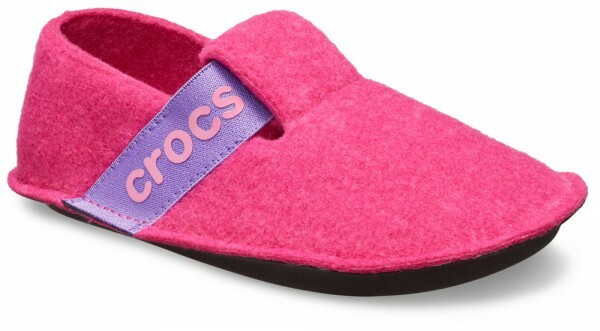 Product information "Classic Slipper Kids Candy Pink Croslite"
Everything the little ones love about their first pairs of Crocs is here in a cute and cozy slipper style. With no laces or straps to fuss with, theyre easy for Mom and Dad to slip on and off, and simple enough for kids to learn how to do it themselves. Great for padding around the house or any excursion where an added dose of cozy is welcome. Related links to "Classic Slipper Kids Candy Pink Croslite"
Customer evaluation for "Classic Slipper Kids Candy Pink Croslite"